Preheat oven to 400 degrees Fahrenheit. 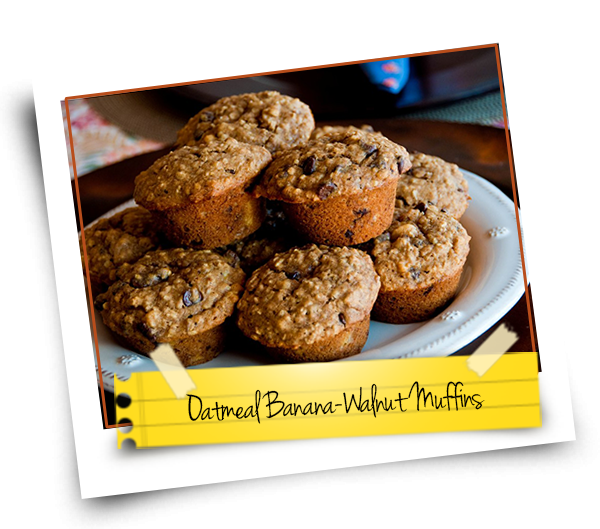 Place oatmeal, bananas, walnuts ground flax, eggs, yogurt, honey, baking powder, and baking soda into blender or food processor; mix all ingredients until well combined. Fold chocolate chips into mixture with a spatula. Scoop oatmeal batter into a lightly greased muffin baking dish. Place into preheated oven to bake for 20-25 minutes. Makes 12 perfect muffins. What have you for the vegetarian, my son doesn’t eat chicken or beef or fish? Would love to hear from you. Johanna.